I was struck by a story that I saw on the MSNBC program The Last Word. on June 23, 2017. In this program the host, Ari Melber, interviewed Karen Clay and her son, Mike Phillips. 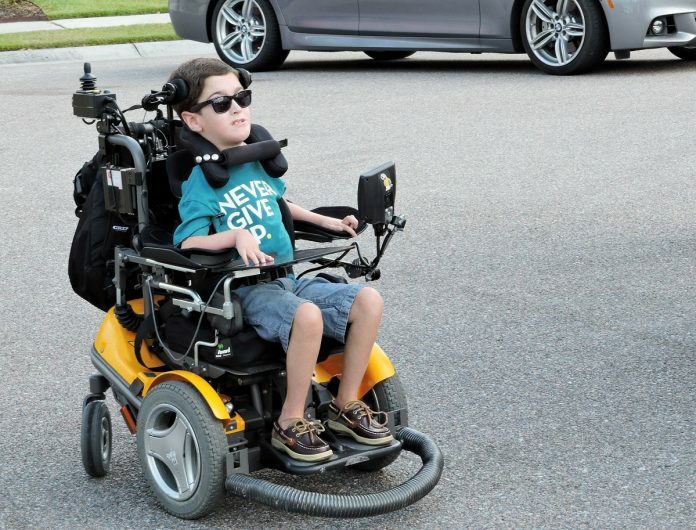 Michael suffers from Spinal Muscular Atrophy. He lives at home, in Florida, with his mother. Over the last 30 years Michael's disease has progressed and his care and treatment has become more complicated. Medicaid has made it possible for him stay at home and for Karen to remain his primary care giver. This situation will change dramatically and drastically if the Republican plan becomes law. The focus of the interview was what will happen to Michael if the Republican health care bill is enacted. Karen explained that there is no facility in Florida that can care for Michael. He would have to be moved out of state and institutionalized. His level of care would deteriorate and the cost for his care would increase--a lot. The family would be uprooted. As I listened to the interview I could not help but think of a passage in the Gospel according to Matthew. In the twenty-fifth chapter Jesus is reported to say to the disciples, "I tell you the truth, whatever you did for one of the least of these brothers of mine, you did for me" (25: 40, NIV). We tend to interpret the words from Matthew 25 in the context of the parable of the Good Samaritan (Luke 10: 25-37). Remember that parable begins with a legal scholar asking Jesus what he must do to inherit eternal life, meaning not just a life after death, but life in the here and now. It is an existential question. What do I need to do in the here and now to have a life with God? Jesus answers this question with the story of a man beaten and robbed and left to die in a ditch at the side of the Jericho road. One religious person sees him lying in the ditch and passes by on the other side of the road, and then a second person comes along and he too goes to the opposite side of the road. But when the Samaritan comes he sees the man in the ditch and goes to him, binds his wounds and takes him to the inn and tells the inn keeper to take care of him, promising to compensate the inn keeper for any expenses that he incurs as a result of his care for this person. Jesus then asks the question, “Who was the neighbor to this man?” The answer, of course, is the Samaritan. The parable concludes with Jesus instructing the person who asked the question, and by extension us, “Go and do likewise” (10: 37, NIV). With the parable of the Good Samaritan in mind, when we read the words in Matthew 25, it is natural that we should think that we are called to feed the hungry, give the thirsty something to drink, welcome the stranger, visit those who are in prison and so on. Dr. King famously said that day will come when we have to build a new road so that travelers will not be left in the ditches. Understandably we want to be the people who build that new road, but until then we will follow the pattern set by the Good Samaritan. We want to do our best to be faithful to the commandment to love our neighbors as ourselves. We want to live by the Golden Rule and do unto others as we would have them do unto us. Wendell Berry says: "Do unto those downstream as you would have those upstream do unto you." It's common sense. But it is more than common sense. We are bleeding hearts. Karl Marx who once said that religion is the opiate of the masses also said: "Religion is the sigh of the oppressed creature, the heart of a heartless world, just as it is the spirit of a spiritless world." Many religious scholars and preachers have told us that compassion and empathy are the core of our faith and the keys to understanding the gospel. And we believe that. This is why Michael and Karen's story is so powerful. But then, when I remembered the passage in Matthew 25: 40, I had to ask myself: What about the guy in the ditch? What about the people who live on the margins of society and in the economic shadows? What about the people who are victims of injustice. What about people who live in daily fear of police violence? 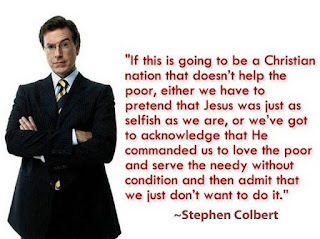 What about "those people" who are, the words of Jesus, "the least of these?" What about them? those who are less fortunate than we are. Thus, when I was a child my church had a program called SOS, which stood for "Share our Surplus." Then we had another offering called "Neighbors in Need," that was to help the less fortunate. These were ministries enabled by power, privilege, and possession. Remember the story of Joseph and his brothers. His brothers sold him into slavery. Over a period of time and after many trials Joseph worked his way to a position of responsibility in the government of Egypt. He became the Secretary of Agriculture. When famine came upon the people of Israel, Joseph’s brothers came to Egypt to beg for food that they could take home to a desperate people. This may be the very first story about an international relief mission in biblical history. Joseph famously does not reveal his true identity to his brothers until the very end of the story. Then, after he has given them food to take home, he reveals his true identity in a dramatic moment and he says to his brothers, “You intended to harm me. But God intended it for good" (Gen. 5: 20, NIV). From the surplus of Egypt, Joseph was able to help his brothers and save his family. A well-known business consultant has famously said that we must do well before we can do good. Joseph was only able to help his brothers because he had done well. We have learned over the years to think of mission in this way. We have to do well before we can do good. But what does that say about the “least of these.” Are they among us simply to be the object of our mission? Are we the instruments of God’s mercy, and the least of these the object of God’s mercy? Is that the message of the Bible? During the MSNBC interview, Michael Phillips was intubated and lying flat on a table. But Michael was very aware of his situation and his surroundings. He participated in the interview. He was very articulate, eloquent in fact. If you had not see him lying in front of you flat on the table and unable to move you would not have known his condition. But there he was. After listening to Michael's story and to the words of his mother, Aril Melber, the host, was close to tears as he asked, "What kind of nation are we?" What kind of people are we? What have we become that we are debating the need for access to adequate, affordable health care? What did Jesus mean when he said, "As you do unto the least of these brothers, you do unto me." 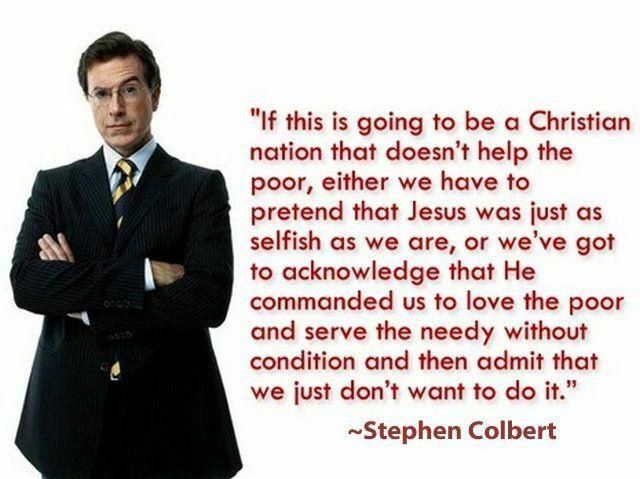 We tend to focus on the first part of the sentence--doing unto the least of these. But the second part of the sentence is equally important, "you do unto me." Jesus is identifying himself with the least of these—the people who are marginalized, the people who are sinned against, people who are the most vulnerable, people who are the victims of injustice. The mission of the church is not limited to charity, sharing our surplus or whatever else we want to call it. The mission of the church is to expose injustice. The mission of the church is to expose the hardness of heart that would make Michael’s health care a subject of national debate in a nation that prides itself on being the richest country in the history of the world. What kind of people are we? What kind of nation have we become? Following the way of Jesus is about making life changing choices. There are lots of Michael’s in this world and there will be many more to come. We can say that his situation is unfortunate and we are truly sorry for that, but we can’t help everyone who is in need. That’s one option. A second option is to say we will do our best to do what we can for “the least of these,” recognizing our own limited resources and the myriad responsibilities that we each have. Random acts of kindness are much better than random and not so random acts of cruelty. Something is lot better than nothing. A half a loaf is more than no loaf. But there is a third option. As you do to the least of these you do to me. God stands in solidarity with the hungry, the poor, the prisoner, the stranger, the unwelcome and the unwanted, the outcasts and yes, “the least of these” because it is here that community is formed. Here on the margins character is tested and shaped and formed. Here is where we answer the question: What kind of people are we? From a faith perspective government is not the “art of compromise.” The purpose of government is the pursuit of the common good. And, the measure of the economy is the well-being of the people. What kind of people are we? We are about to find out.